Bitcoin bulls managed to remain in a solid uptrend this week—the coin traded as high as $5,316. Bitcoin, once again, had a successful week. Unlike last week’s chart, the price of Bitcoin fluctuated a lot during the past seven days. Compared to the almost-straight line we had last week, this one is quite turbulent and unstable. 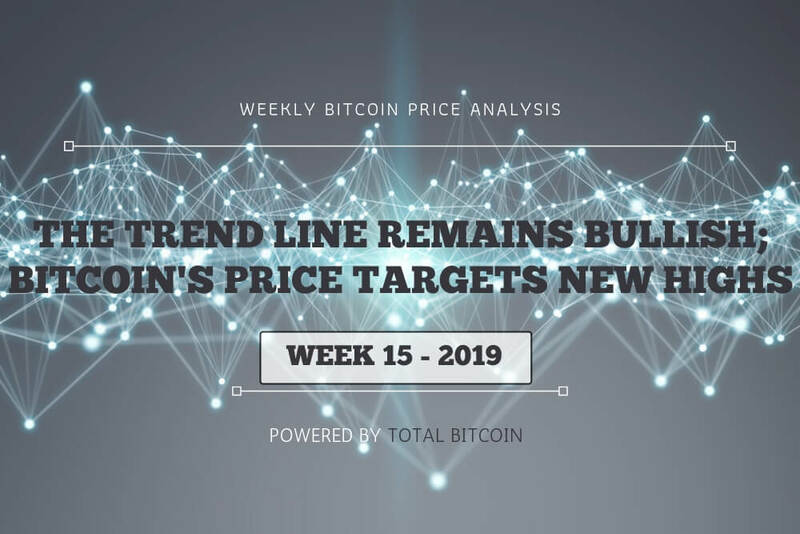 Even though many variations can be spotted on the weekly chart, the Bitcoin bulls remained climbing rapidly. For the most part, the coin was trading in the $5,000 area. From below, Bitcoin faced a support level of $4,800. Generally, Bitcoin continued the solid uptrend against the U.S. Dollar. Not leaving its #1 position on the list, Bitcoin reached a dominance of 50.8 percent. Currently, the total market cap is at $182.4 billion and Bitcoin’s market cap reached $92.7 billion over the course of last week. As of now, Bitcoin’s price can be found at around $5,256. 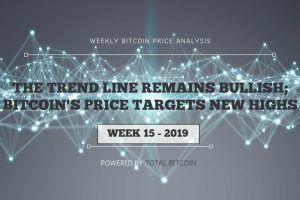 After the displayed balanced line of last week, this time around the price of Bitcoin continually oscillated between the $4,800 line from below and the $5,300 line from above. According to last week’s reports, breaking through the $5,000 mark was a huge victory for Bitcoin bulls as they fought hard to do so. Since then, the coin slowly built a strong demand around the $5,000 zone altogether with new ascending trend lines. On the weekly Bitcoin chart, we can notice the efforts of the coin to remain stable, or at least near the $5,000 area. Although there are minor drops, the overall result of this week is positive. 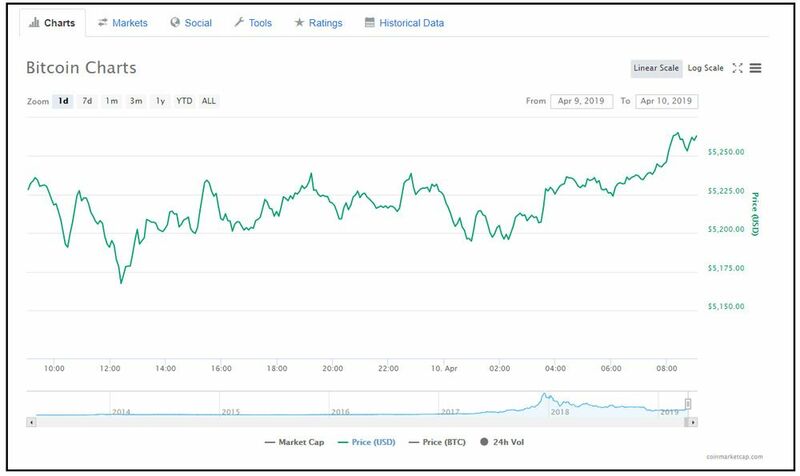 The exact same day as we finished last week’s reports, on Wednesday, April 3, Bitcoin bulls successfully pushed the price to $5,303 against the U.S. Dollar. The breakthrough of this level made us eager to see whether Bitcoin’s price will lead to a further higher target of $5,600-$5,700 or not. 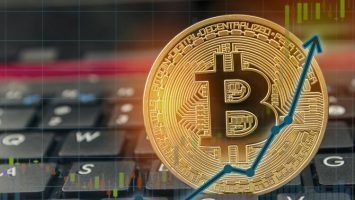 A day later, on Thursday, April 4, Bitcoin bulls failed to guard the upper resistance line, and the price decreased to $4,849 against the U.S. Dollar. This drop made Bitcoin struggle with tough resistance of the $5,000 level and ultimately made the lowest point on this week’s chart. 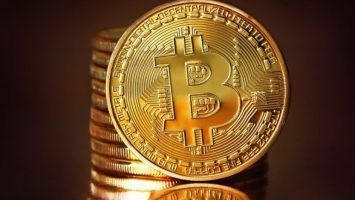 Bitcoin bulls regained position and finally on Friday, the coin could again be found above the $5,000 line. However, what we know now is nothing to what we knew a few days ago. As always, we expected the price to go higher during the weekend, because the weekends have proved to be very lucrative for Bitcoin. 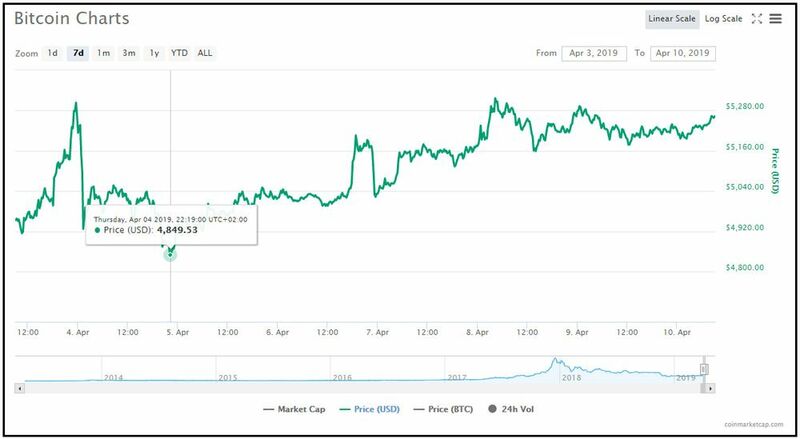 Unlike many other weekends, the price of Bitcoin fell a bit during Friday, and then again managed to make an ascending line on Saturday, April 6, when it reached $5,205. Returning from the weekend, we waited to see which direction the coin would take. On Monday, the bulls took control and placed Bitcoin at $5,316 against the U.S. Dollar. This move signifies that Bitcoin’s price is likely to rise above the $5,500 resistance levels. Monday’s price made the highest point on this week’s Bitcoin chart. After achieving this level, the price went downward but did not go in the $4,000 zone again. For the next few days, it remained stable and the bulls maintained a positive stance above the $5,000 line. Similar to the general Bitcoin chart, the daily chart also displays many different variations in the Bitcoin price. According to it, we can conclude that even though the bulls fought hard to be balanced in preferable areas, it was still a hard task. The Relative Strength Index shown on the daily chart pointed out that the index is nearing the 90 level. Once again, this represented an entry into bullish territory. Throughout the past year, this is considered the highest level so far. Reasonably, this can lead to a possible correction down. 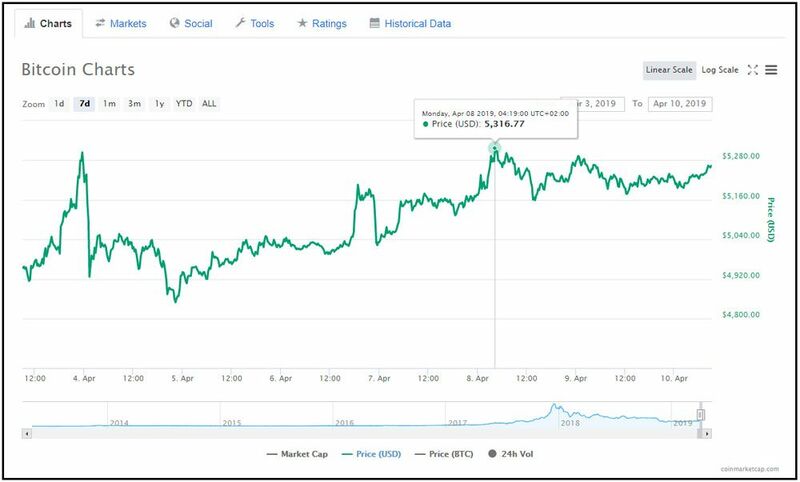 Regarding Bitcoin’s trading volume, we could see Binance stating the coin had passed over its own all-time high. In the course of the next few days, we could see a high volume of buyers. However, due to the fluctuations that occurred this weekend, the trading volume was dull. At the time of writing, Bitcoin’s daily highs can be found at around $5,300, and the coin is currently marginally trading at $5,256 against the U.S. Dollar. Looking at the hourly chart of the BTC/USD pair, an essential ascending channel can be seen forming with support at $5,180. The 100 hourly SMA and the channel support hold the key to Bitcoin’s next move, and what awaits the coin in the near term. According to the hourly charts, the Relative Strength Index for the BTC/USD pair has a positive angle and it is well above the 50 level. The hourly MACD (Moving Average Convergence Divergence) is slowly but surely gaining movement into the bullish zone. The major resistance levels can be found at $5,300, $5,360 and $5,400, and the major support level followed by $5,075 can be found at $5,150. These technical metrics point to the indication that the bulls will likely remain in action and move Bitcoin even further, reaching new expected milestones.